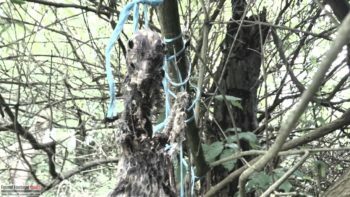 “Hide the Monster” is a found footage film written and directed by Gabe Saenz. The film is presented as case evidence from a police department, stolen by hackers looking to expose government corruption. The story revolves around a young boy named Isaiah (Owen Hurst), whose mother Stephanie (Michelle Hurst) is concerned about her son’s odd behavior. Isaiah has been locking himself in his room or the attic, no longer talking to his mom, and scaring the other kids at school. For help, Stephanie calls her friend Thomas (played by the film’s writer and director Gabe Saenz), who is working on his PhD, presumably in child psychology or a related field. 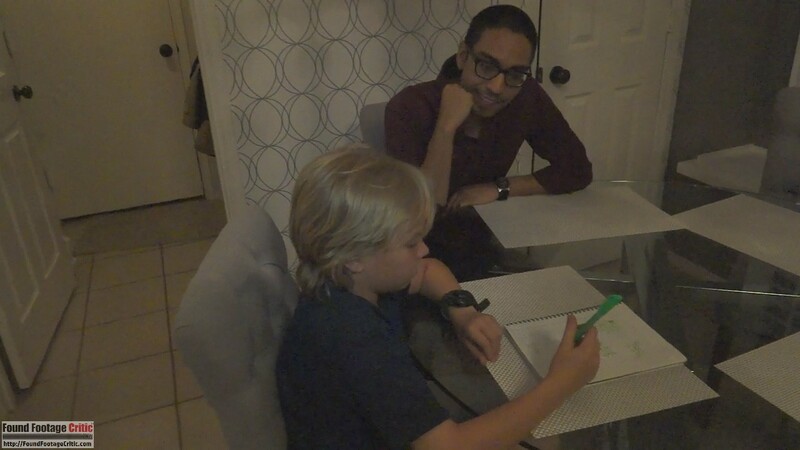 Thomas agrees to help Isaiah for free, and brings along his friend Alex (Kyle Roark) who wants to film the sessions with Isaiah for an extra credit school project. Thomas and Alex observe and interact with Isaiah in the boy’s home, usually while his mom is away at work. During this time the two men discover Isaiah’s tendency to hide behind various Halloween masks, and his obsession with a strange deck of Tarot cards. Despite being creeped out by Isaiah’s behavior, Thomas and Alex agree to continue working with him over the course of several days. A welcome change to a format that has been done to death. The majority of footage in Hide the Monster comes from Alex’s handheld camera, which he uses to document the time that he and Thomas spend with Isaiah. 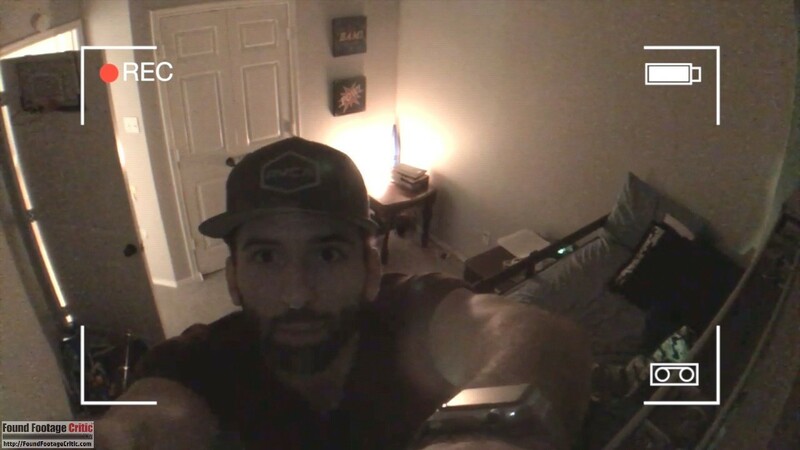 The film also includes footage from the surveillance camera in a police interrogation room, as well as surveillance cameras that Alex sets up in Isaiah’s house later in the film. While nothing particularly stands out about the cinematography in Hide the Monster, it is competent and believable as true found footage. The film makes mild use of static interference to aid tension building during some scenes, but not enough to be distracting, which is sometimes a danger with that technique. 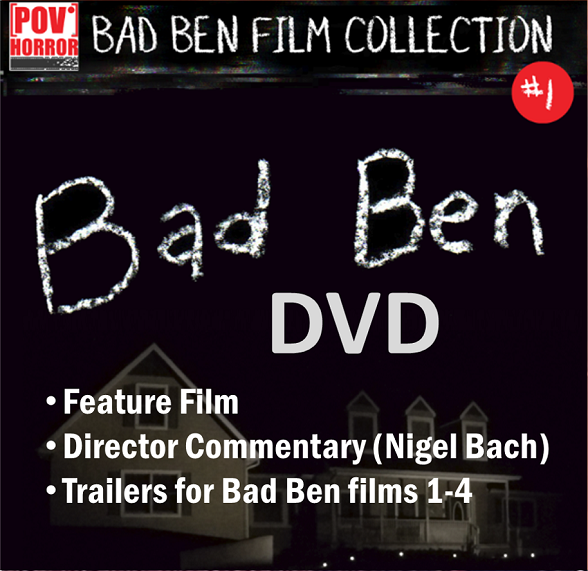 Unlike many other “haunted location” films that primarily take place in a single house, Hide the Monster includes a scattering of scenes shot at several locations as well. A police station, a restaurant, and the homes of both Thomas and Alex are a few alternate locations used in the movie. Though the scenes shot outside of the primary setting are generally brief, the variety is a welcome change to a format that has been done to death. The primary filming reason used in Hide the Monster is that Alex is making a film for school. 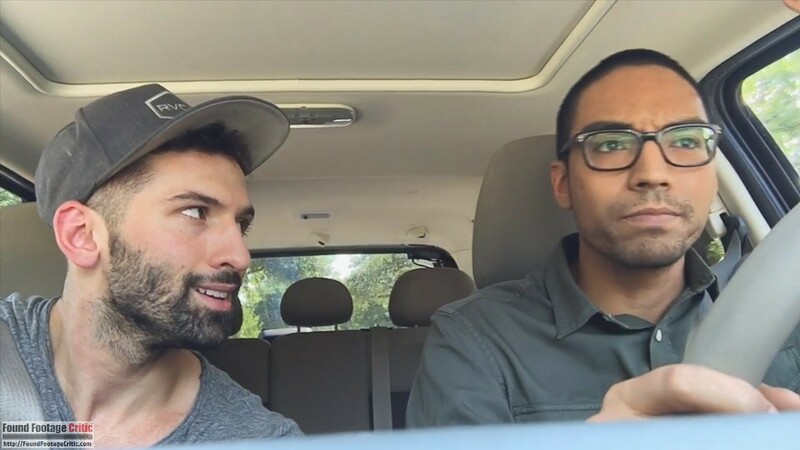 One of the first scenes is shot from Alex’s phone as he approaches his professor in a parking lot, during which he begs for permission to do his “video project” for extra credit. The quick exchange between Alex and his professor provide a good foundation for the opening scenes of the movie. The reason for filming shifts slightly as the story unfolds. Coming to believe that something strange is happening in Isaiah’s house, Alex surreptitiously sets up additional surveillance cameras. A few scenes in Hide the Monster imply additional filming reasons, such as the surveillance camera in the police station which is obviously there to record interrogations. Another scene shows Thomas and Alex reacting to footage that Isaiah’s mom caught on a nanny cam in Isaiah’s room months earlier. These scenes add a refreshing variety to the film, and help to augment what is already a solid reason for filming. The purity of the footage in Hide the Monster is quite good in general. Presumably the video has been edited together by either the police department or the hackers who stole it, but the edited nature of the film hides in the background, allowing the characters and plot to take center stage. The film is capped on either end by scenes showing a computer monitor on which the hackers type descriptive captions to the viewer, but the hackers remain otherwise hands-off for the rest of the movie. 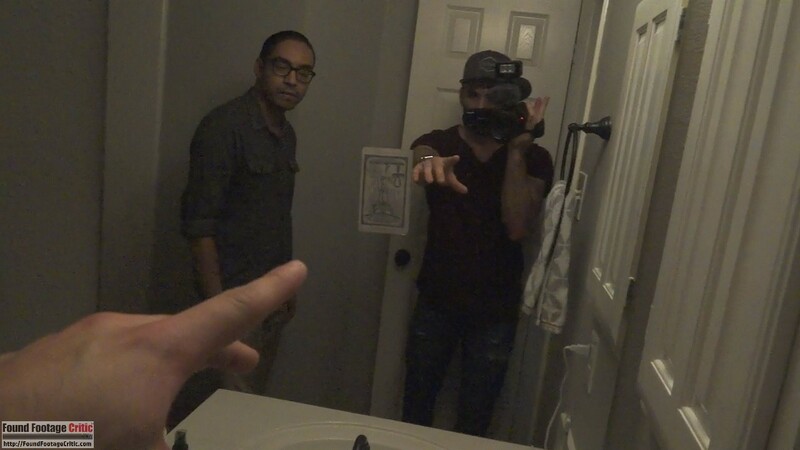 Like many found footage films, Hide the Monster makes use of a low hum, similar to Paranormal Activity (2007), during scenes in which paranormal events are occurring. The few effective jump scares that the movie has are achieved by culminating the hum into a loud roar sound effect which, while startling, some viewers may not find particularly convincing. Aside from these sound effects, the film makes no overt use of sound design. 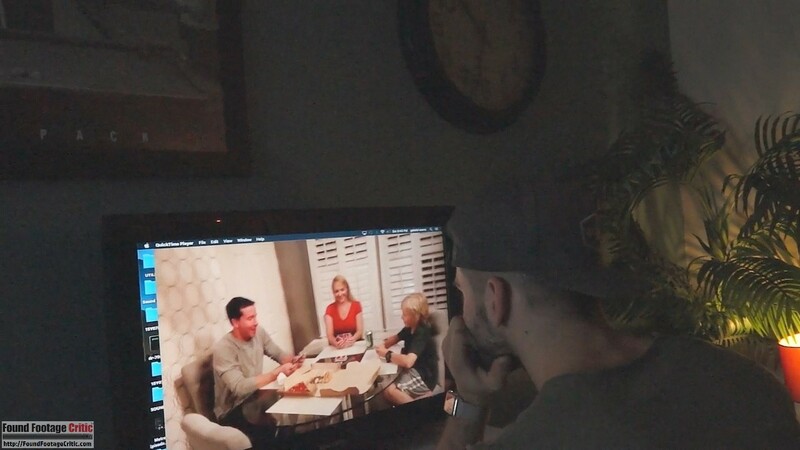 The main issue that hurts the realism the footage centers around the surveillance cameras that Alex sets up in Isaiah’s house. The first problem is that the cameras are clearly battery-powered. This is indicated by on-screen battery levels that decrease over time, as well as Alex’s ability to conceal the cameras—a feat that would prove difficult if he had run power cables to an outlet. The film sets up an unrealistic expectation that these battery-powered camcorders continually record for multiple days on a single charge, let alone have enough storage space to keep that amount of footage. The second problem with the surveillance footage is the very presence of the battery indicator, as well as recording indicators and framing grid. While these elements do typically appear on a camcorder’s viewfinder to aid the person recording, they are never included in the actual video. The presence of the camcorder user interface does add context to the various video sources, but it detracts quite a bit from the realism of the footage. One of the best aspects of Hide the Monster is the relationship between Thomas and Alex. The comedic banter between Gabe Saenz’s straight-man Thomas, and Kyle Roark’s goofy Alex makes for a generally amusing double act. While the acting in Hide the Monster is good across the board, the characters themselves often behave and react to events in ways which stretch plausibility. Thomas, for example, is not very convincing as someone working on a PhD in child psychology or a related field. Thomas often seems unsure of how to handle Isaiah, occasionally asking his even less qualified friend for advice. Isaiah’s mother Stephanie (Michelle Hirst) is portrayed as a parent who deeply cares for and is concerned about her son. Yet in the opening scene where she is handcuffed in an interrogation room, she shows no sign of concern for her son’s whereabouts at all. She acts almost defiantly toward the detective in the room with her, which seems very inconsistent with her character through the rest of the film. In the same scene, the police detective has bizarrely unholstered his firearm and placed it on the table mere inches from Michelle’s cuffed hands as he paces the room. Isaiah comes off as a fairly normal kid early on in the film, yet Thomas and Alex act disproportionately frightened and unsettled by him. When the men arrive for their second session, Isaiah’s mother threatens to call 9-1-1 just because Isaiah locked himself in his room. Later on, Thomas and Alex discover nanny cam spy footage of Isaiah and his father inexplicably included on a family video DVD of one of Isaiah’s birthday parties. These are only a few examples of many puzzling character reactions and plot elements scattered throughout the film. Overall, Hide the Monster has an interesting premise and the acting is very good, but the plot inconsistencies mentioned above may detract from the overall experience for some viewers. Hide the Monster clearly takes cues from other haunted house found footage films such as Paranormal Activity (2007), in which tension is built gradually through slow pacing and a steady reveal of back-story. The presentation and style of Hide the Monster is very reminiscent of these films. But due to the film’s quicker pacing and bigger-than-life characters and reactions, Hide the Monster largely sacrifices the slow build-up of suspense found in those other films. While there are a couple jump scares, there is never a true sense of urgency or danger during the film until the final moments when things come to a head. While the film has some problems and is not as scary or suspenseful as other movies in the genre, Hide the Monster is ultimately still a well-executed film. 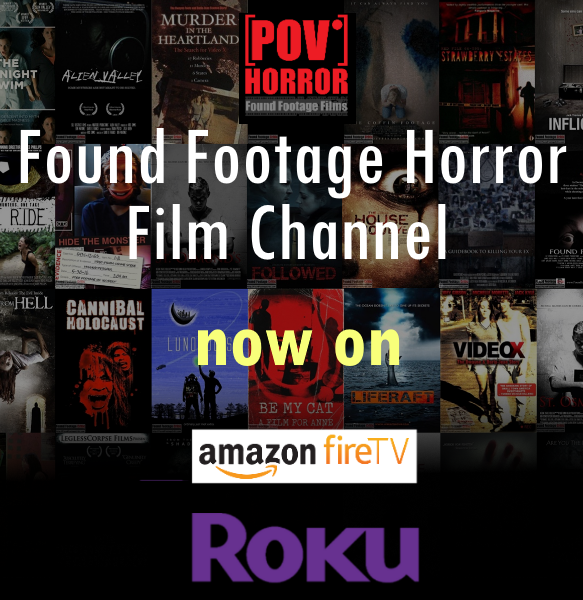 The interesting premise and fun characters make this one well worth a watch for found footage fans. 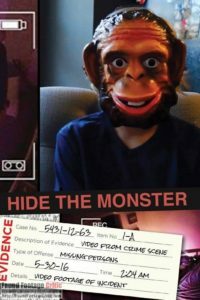 HIDE THE MONSTER is a flawed but well executed found footage film with compelling protagonists and a good sense of humor.